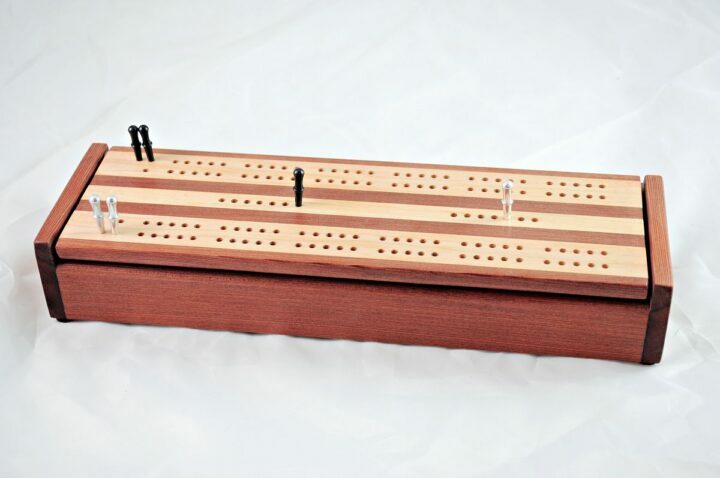 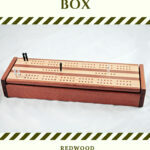 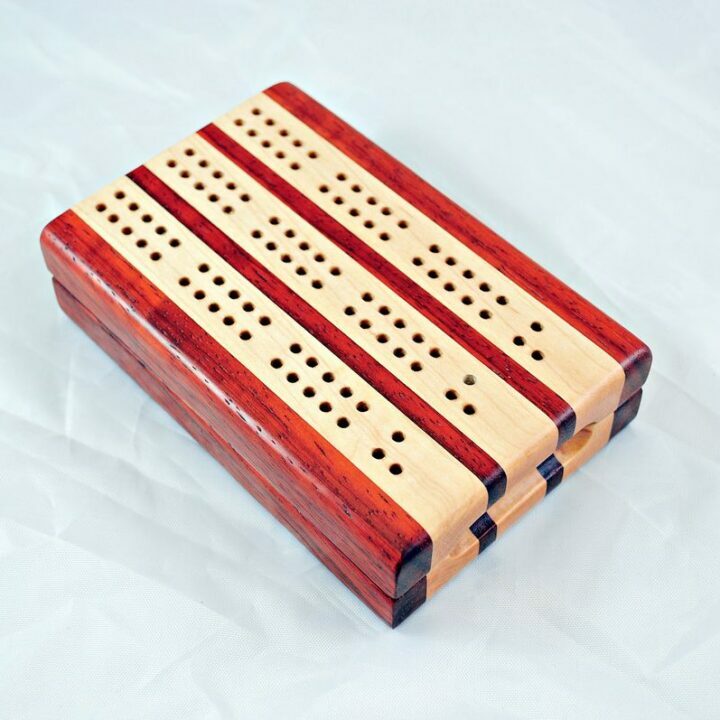 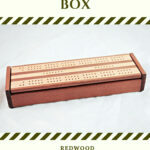 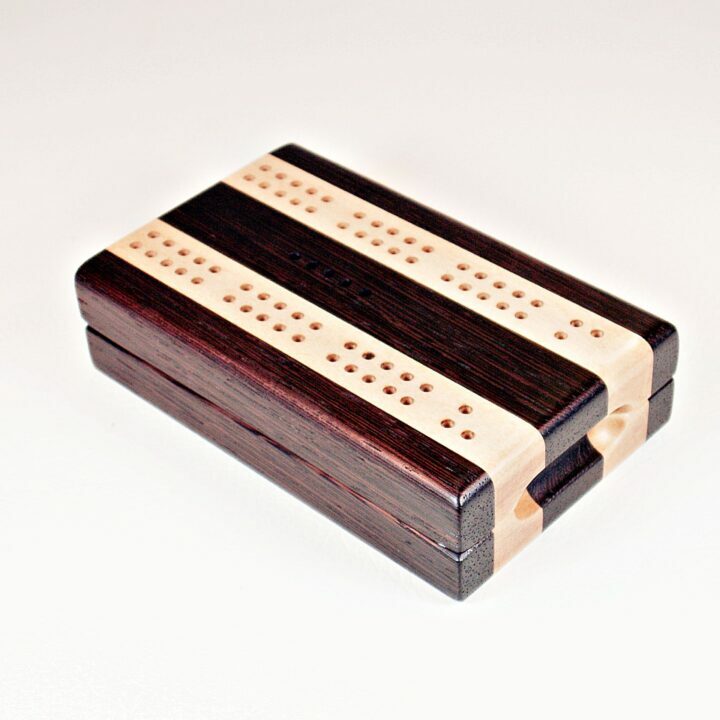 The Box Style Cribbage Boards are made of solid, hand selected hardwoods with brass or aluminum pin accents. 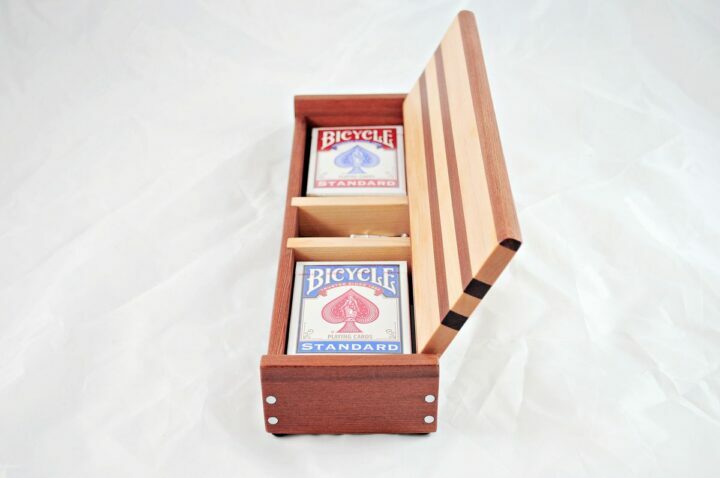 The lids are hinged with hidden hinges. 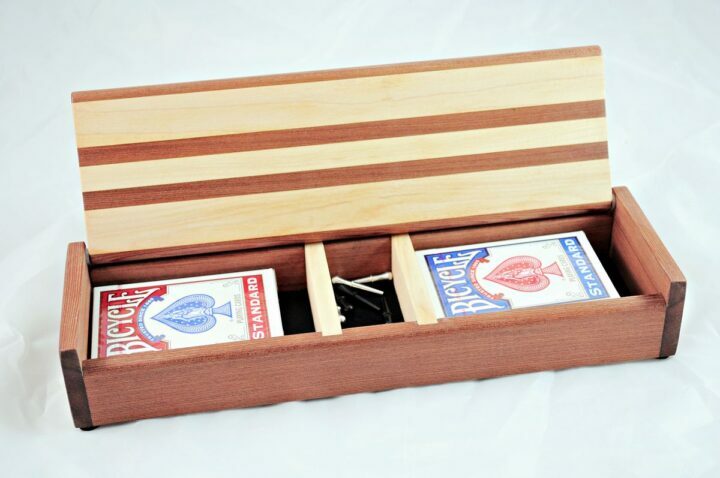 The box comes complete with rules, custom metal pegs and two decks of cards (one lucky and one unlucky) These cribbage boards are for two players (teams).